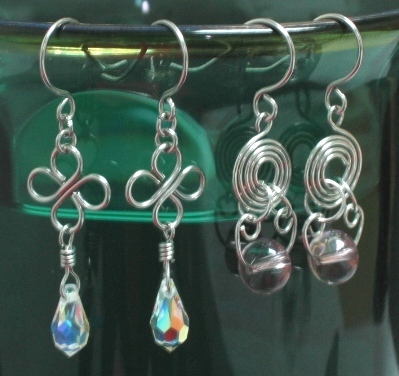 Here are some of the earlier wire earrings I made. The clover leaves, ear hooks and spirals were all handcrafted. Photo quality is not as good as i was just starting to experiment with photo taking. My knowledge on how to take good photos of jewelry and other small objects is minimal at that time. Opps! suppose to have more pics but i have problem uploading them. Tried few times but only one pic successfully uploaded.